Cats are the best, aren’t they? 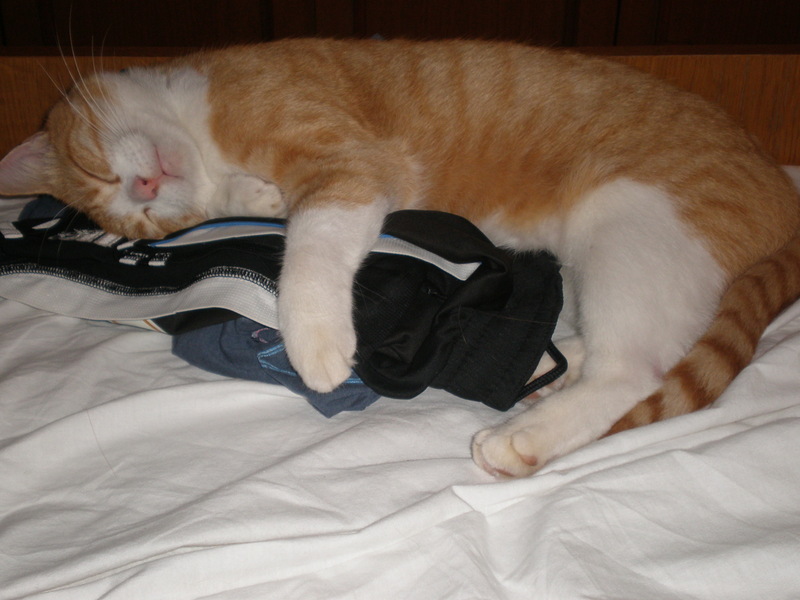 This is my cat Munchkin sleeping gracefully on my husband’s gym clothes 🙂 Cats can be described as cute, playful, mischievous, adorable, independent, intelligent, resilient, resourceful but also graceful. Do you agree with me? Are you a cat person too? Adorable kitty – I love anything cat related. So cute! Your cat is so cute and looks a lot like mine! 🙂 I love cats! Thanks for sharing. I love that name! We’ve got a ginger cat called Foxy, but she hates me so no way will I be putting any pics of her on my blog!